We've been through this enough this week that I probably don't have to walk through it again, but here goes: after a fine morning of editing and outlining, I arrived at the good ol' NYPL in the midst of a real humdinger of a snow storm, sat down in the ornate reading room, and started writing today's essay. 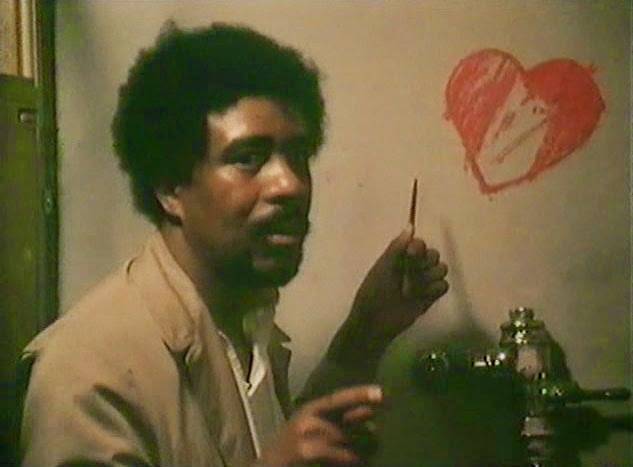 The topic was drugs, and specifically what Pryor's playing of five "junkie" characters (two on stage, two on film, one on television) tell us about his own struggles with addiction. A rich topic, as you can imagine, so it probably shouldn't come as a surprise--considering both the enormity of the subject and the writing habits that we've been reminded of this week--that when I came up for air a few hours later, the essay was 4036 words. It was time to do some math. With two essays remaining in a book with a target length of 2000 words, I had written... 1900. Look, things go when you're editing, but that much wasn't gonna go, so I pulled the fire alarm. Earlier this week, I mentioned that I did have the option of dropping one of the essays--the last one in the book, which (for purposes of chronology, but perhaps accidentally savvily) I scheduled myself to write last. I think it has potential, but it's certainly the one (at this point, anwyay) with the least to say, and the more I thought about it, the more it seemed like the book-wrap-up stuff made more sense within the penultimate essay (which I'm writing tomorrow). So I texted my wife, I texted my buddy Mike (who's kinda been my sounding board on this project), and I emailed my editor. All agreed that this is probably a good idea. So, that's where we're at. After I finished the draft of today's essay and took another pass at it, I returned to yesterday's again (still pretty happy with it), worked on the notes and bibliography a bit, and called it a day. Tomorrow could be my last full day of writing, though I've got a feeling the combination of tomorrow's essay and the book wrap stuff that'll need to go on the end of it might carry it over into the weekend. We'll see. Point is, the book has been reconfigured, and for the better. Can't complain about that.